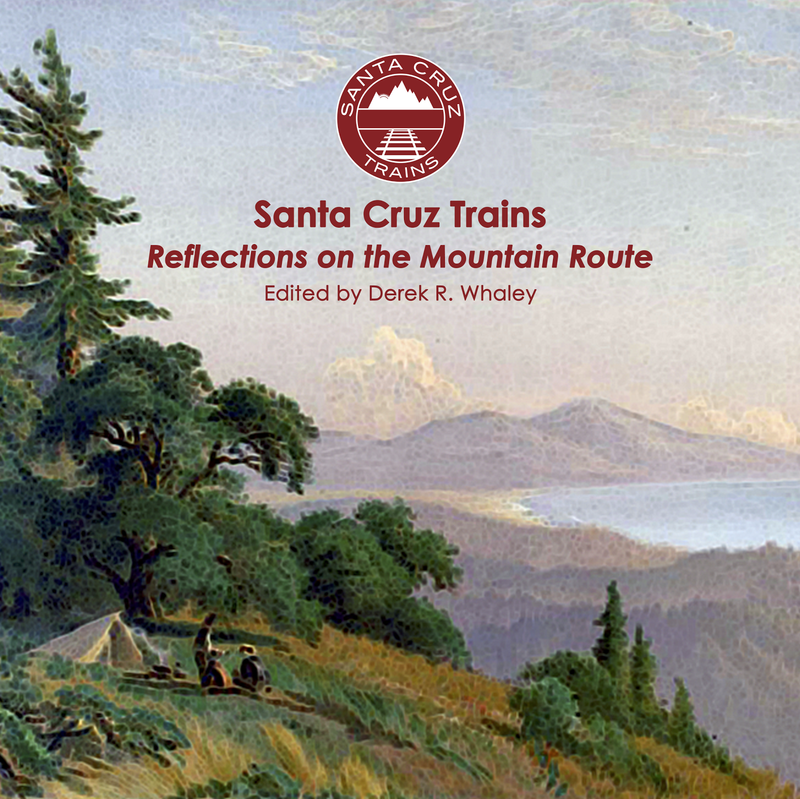 Two companies specifically spearheaded the earliest attempts to bring railroading into Santa Cruz County. While neither succeeded, these early railroad companies set the precedents that were followed by later lines. Santa Cruz County's first railroad company predated the founding of the Union Pacific Railroad by a year. Had it ever been completed, it would have been the first narrow-gauged railroad in California and one of the most ambitious routes ever attempted. Founded on May 20, 1861, the San Lorenzo Valley Rail Road would have been the very definition of a frontier route. 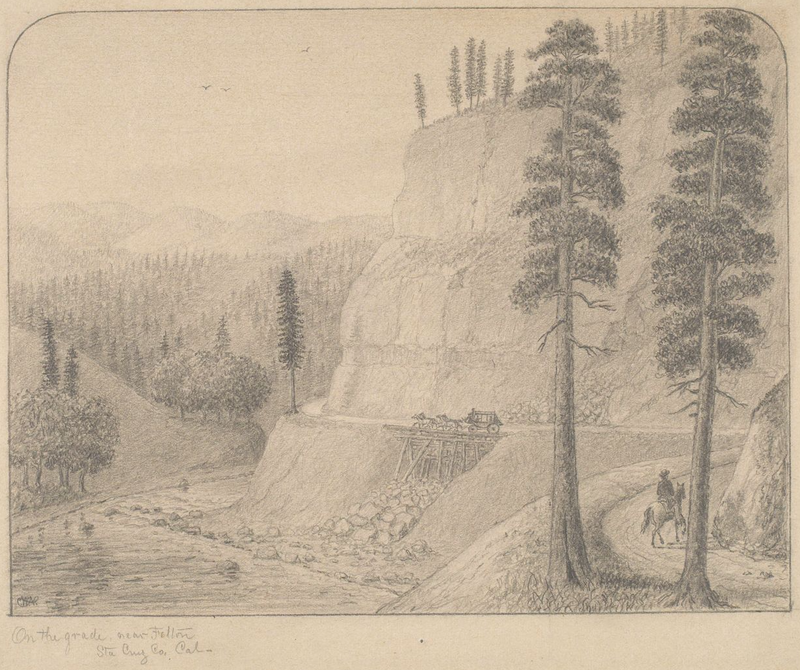 The founders, primarily Frederick Augustus Hihn, sought to tame the San Lorenzo Valley gorge between Santa Cruz and the turkey foot, where Boulder Creek, Bear Creek, and the San Lorenzo River intersect – an ambitious 16-mile route that would have potentially eliminated the contemporary problems that stopped the lumber companies from attempting more ambitious mills in the region. Funding for this early railroad was quite forthcoming, but money was not the reason the company went bust. Property ended up being the stumbling block. When California became a state in 1850, it was still divided into hundreds of large ranchos largely held by Californios or the East Coast Americans who married into their families. Furthermore, despite the small size of Santa Cruz County, the very nature of local government was still in flux. Neither Watsonville or Santa Cruz were large enough towns to be considered cities, and the regional population was so dispersed that anything, from lawmaking to gathering funds, took a significant amount of time. Frederick Hihn wanted his railroad and he wanted it now. The Civil War ended up becoming the biggest stumbling block as it caused too much uncertainty for people to really commit money to a railroad. In 1866, plans finally gained traction again and some were even talking about extending the line to Saratoga. An engineer even surveyed the route and estimated that only a single half-mile tunnel under Castle Rock Ridge would be required to connect the two points. But the money was just not there and other problems were brewing for the ambitious railroad. Construction on the San Lorenzo Valley Railroad finally began in 1868. The plan was to closely follow the course of the river through the San Lorenzo gorge, criss-crossing the river whenever necessary and boring a tunnel through the hogsback rock outcropping just north of the California Powder Works. Initially plans were only to take the right-of-way to Felton, with a later intent to extend it to Boulder. Grading began in multiple locations along the proposed routes, with dynamite crews blasting where necessary and other crews working from both Santa Cruz and Felton. Most of the timber for the crossties and trestles was cut directly along the right-of-way, which was the railroad's undoing. The majority of the route was owned by Isaac Davis and Henry Cowell, who used their land to fuel the fires of their limekilns on the modern-day University of California campus. Hihn and his crew, who wanted to streamline the building process, filed condemnation orders against Davis-Cowell land since it was currently unused. In response, David-Cowell filed an injunction in July 1868, essentially ending the San Lorenzo Valley Rail Road before a single track was placed. Although the law was technically on the side of the railroad at the first court hearing in August 1868, matters became serious when Davis and Cowell appealed the case and the issue was resolved in their favor. For the next three years, the railroad would languish, partially completed while the parties built up further legal cases. In March 1871, the railroad reorganised itself and announced plans to extend the line to San José. Furthermore, it decided to appeal the appellate court decision to the state Supreme Court. In a landmark decision (Case No, 1828) in January 1874, the judiciary announced that since the original railroad act of 1863 made no provision for compensation for lands or items used on private property for public purposes, it violated the constitutional right to property and was unconstitutional. Suddenly, the San Lorenzo Valley Rail Road would have to pay for both the property it crossed and anything they used on that property. In other words, the railroad, which always struggled with its finances, was dead. 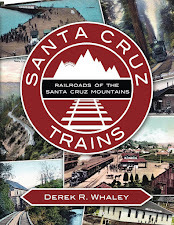 The financiers pulled out, with many of them transitioning to the entire separate Santa Cruz Railroad Company, and the San Lorenzo Valley Rail Road disappeared into the history books. Rick Hamman, in his 2002 second edition of California Central Coast Railways, states that parts of this right-of-way are still observable low in the San Lorenzo gorge in places, although these spots are not entirely easy to locate. Unlike the later route, which worked with the Davis-Cowell consortium, the earlier route remained very low in the gorge until roughly the modern-day site of the Big Trees truss bridge. Thus, those seeking to find traces of this never-completed route must look hard and long, following bike and pedestrian trails and obscure deer paths. When the San Francisco & San José Railroad was still an isolated line that ran before its eponymous cities, the people of the Pajaro Valley were already eager for a connection out of the county. Five years of rail talk in local newspapers and high shipping rates from the port of Santa Cruz likely facilitated this growing tide of interest in a rail link. On June 22, 1867, Frederick A. Hihn, Nathaniel W. Chittenden, and other prominent locals that owned properties between Gilroy and Watsonville incorporated the California Coast Railroad Company. Their intention was to connect with the San Francisco & San José Railroad, which planned to extend their track to Gilroy using a subsidiary, the Santa Clara & Pajaro Valley Railroad. Together, these two routes would constitute a connection between Santa Cruz and San Francisco. Work on the Santa Clara & Pajaro Valley Railroad began in February 1868, prompting the California Coast Railroad owners to begin selling stock and gathering funds. In such a sparsely-populated region, though, this proved quite difficult. Even though steam trains began arriving at Gilroy Depot in 1869, the California Coast Railroad was barely making any progress at all. Meanwhile, the Santa Clara & Pajaro Valley Railroad had merged with its parent company to become the Southern Pacific Railroad Company, under the leadership of the Big Four, owners of the Central Pacific. Although that railroad's initial plans had been to divert into the San Joaquin Valley via Hollister, surveyors decided that an easier path would pass through the Pajaro Valley and then down the Salinas Valley. They incorporated the paper company, the California Southern Railroad, to accomplish this task. Suddenly, the entire purpose of the nascent California Coast Railroad Company was about to become moot. Although it remained an entity in the books for the following year, the news released by the Southern Pacific killed any lingering plans for the California Coast Railroad. On March 5, 1870, a new railroad bill passed through the California State Assembly and the California Coast Railroad was never mentioned again. The Southern Pacific had done the job for the county and promised to bring rail to the lower Pajaro Valley. Local participation was no longer required. Hall, John. "Santa Cruz & Felton Railroad". PacificNG.org, 2015. Santa Cruz Weekly Sentinel, 1861 – 1870. Very interesting. Could you point me to the history of when Neary Lagoon was cut off by the railroad? I don't know the specific history of Neary Lagoon. Technically, I don't think it was cut off from the railroad, rather it was eventually culverted, possibly as early as 1873 when the Santa Cruz Railroad began its first operations under the Bay Street truss bridge (or whatever was there originally). I think they left a channel for the lagoon, though, for a long time. It was probably culverted in 1906 when the Coast Line Railroad was built, necessitating the wye at Santa Cruz Depot. That is when the lagoon became surrounded by track. The railroad also built a short spur that ran to where the lower Dream Inn lot is today, which would have blocked any remaining waterway there.